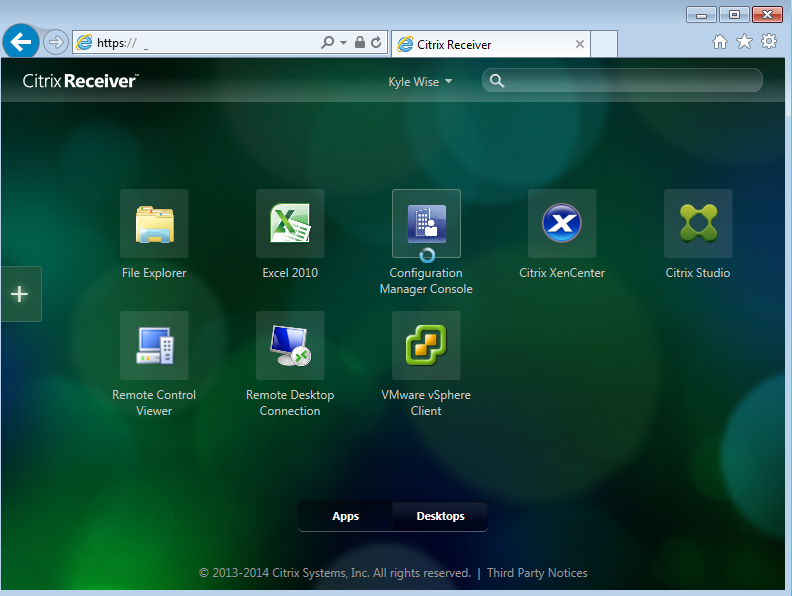 Issues launching Citrix Published Apps and Desktops after Reinstalling or Upgrading Citrix Receiver. 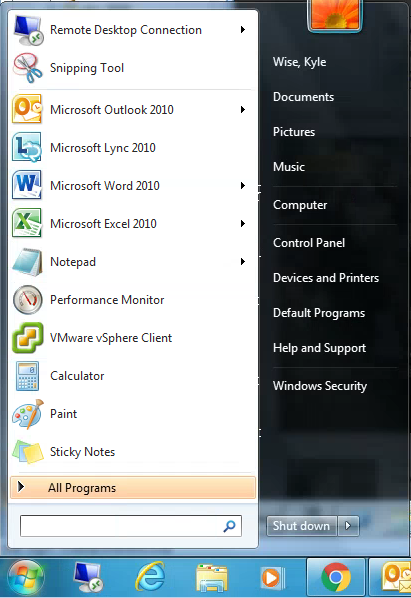 Sometimes a users computer will not have the correct file type associated with a specific program like Citrix Receiver and .ica file type. 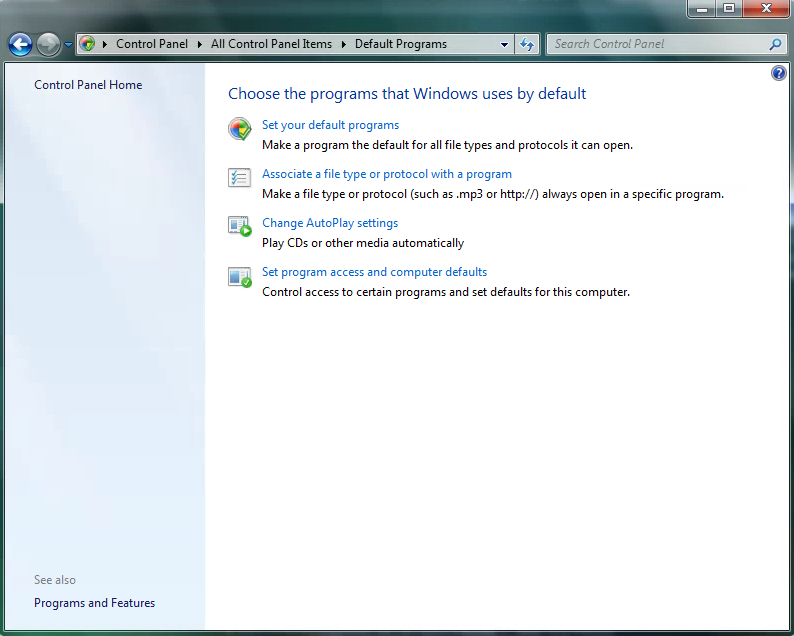 This can cause users to be prompted to Save or Open an ICA file when attempting to launch published apps and desktops. In most cases this has occurred during reinstall/repair/Upgrade of Citrix Receiver. To correct your the prompt and your file associations follow the instructions below. 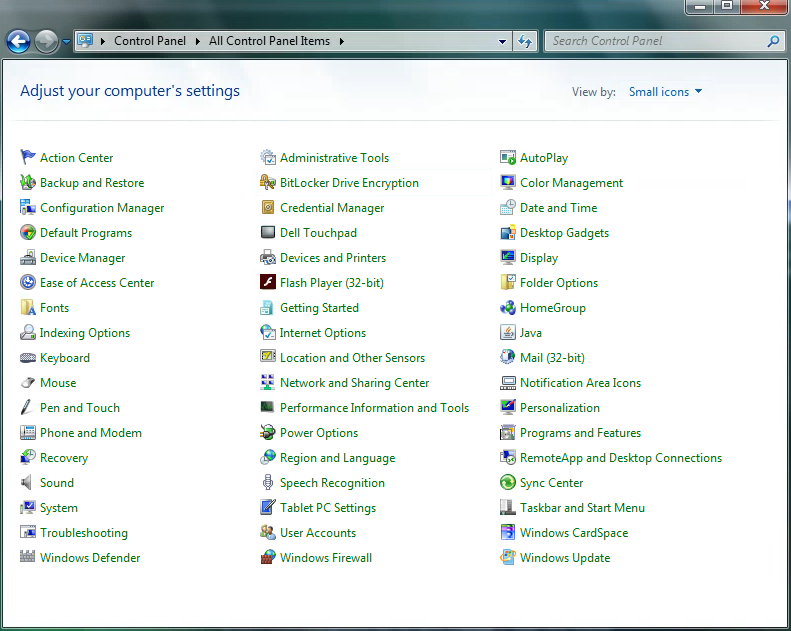 Click on the Windows button/Start Menu icon in the lower left corner and Click on Control Panel. 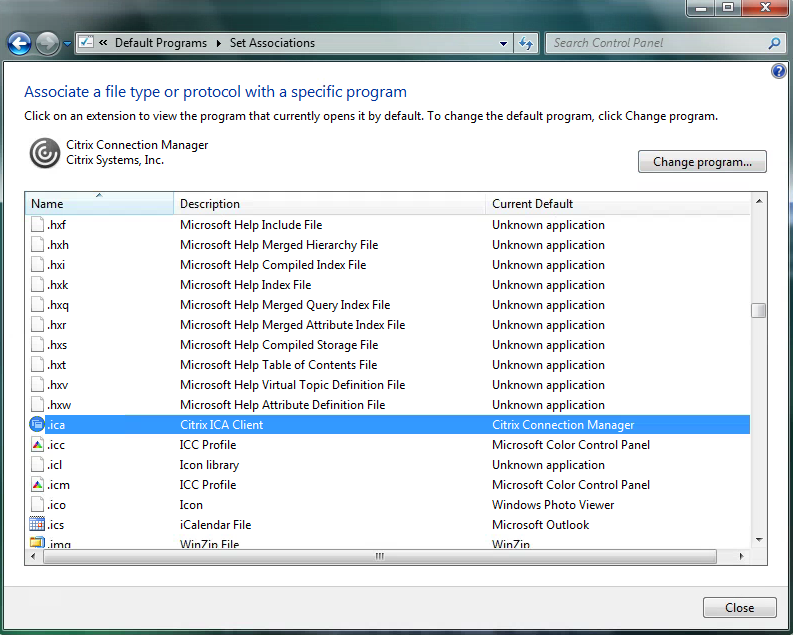 Select Associate a file type of protocol with a program. Scroll down and select .ica. After .ica is selected, click change program. 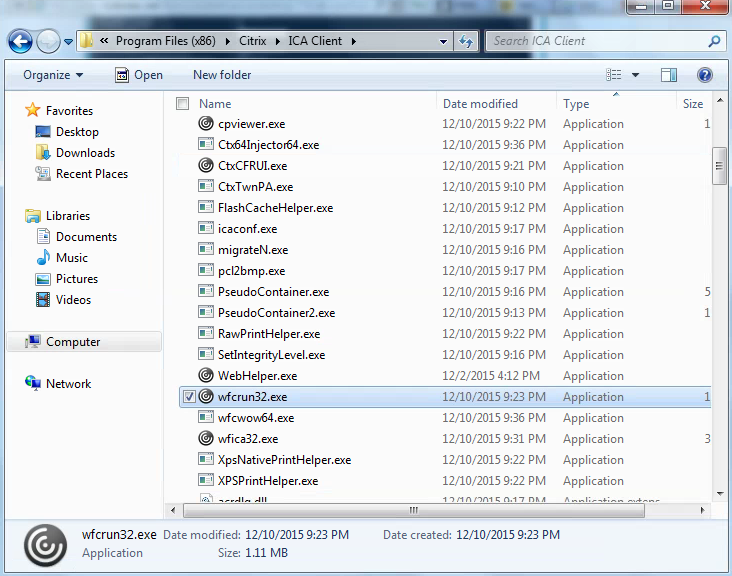 Click Browse, and go to C:\Program Files (x86)\Citrix\ICA Client and select on wfica32.exe. Click Open. 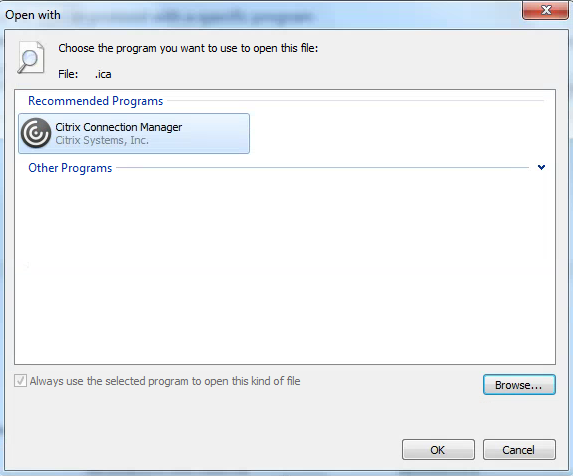 Click OK to close the window, then exit out of control panel and retry launching your Citrix Applications.